The question is what homemade cleaner ingredients should you stock, especially if you're just getting started with making your own products? You don't want to go out and buy everything possible at once, so you want to choose the things that can be used in the most recipes. This is a highly debated question actually. Below I've collected opinions from readers to give you ideas, and then you can decide what is best for you. The first reader shared her top 8 ingredients, and they're pretty similar to my own, but as you see when you scroll there is some variation. 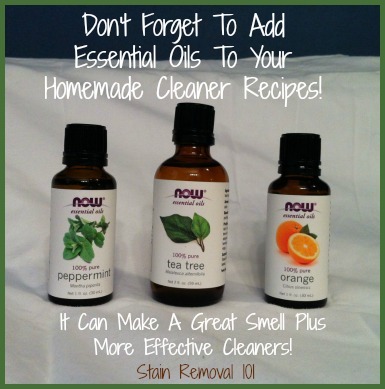 This list will make most, if not all, of the basic homemade cleaners you will need. If you want to begin making some recipes I suggest checking out all my homemade cleaning products recipes here which use mainly these ingredients. So, what supplies can't you live without? Share your faves here and I'll add them to the page. Join in and write your own page! It's easy to do. How? 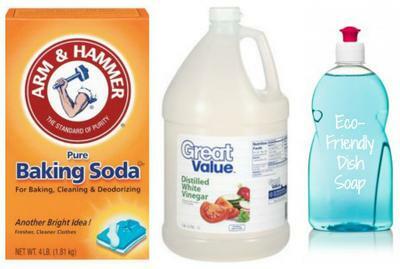 Simply click here to return to home made cleaning supplies. Eco Friendly Dish Soap Is A Must! All you need is distilled vinegar, baking soda and a good eco friendly dish soap. 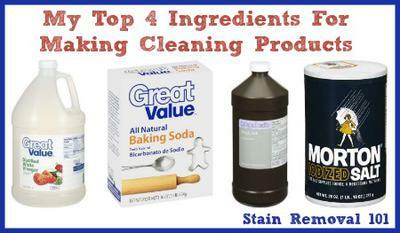 You can mix those three in several different ways and clean your house from top to bottom. Many people insist on or want to use castile soap in their cleaning products. However, it can get expensive and some people don't like it. But castile is not the only type of natural dish soap available. 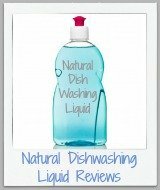 In fact, I've gathered reviews of natural dish soap here if you'd like to try one not only for washing dishes but also as part of your cleaning recipes. I have fallen in love with Castile soap, peroxide, vinegar and baking soda for cleaning. I also use the Castile soap for hand soap. There are several varieties of all natural castile soap available, as well as other natural varieties made from other oils beside olive oil, such as coconut oil for example. 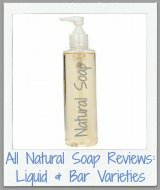 I've collected all natural soap reviews here in case you're looking for one to use in your home. Several readers shared this tip. You would be amazed at the false claims of all the store bought cleaners, organic included! Honestly lemon, vinegar, baking soda and various essential oils can get everything as clean as any store bought junk, and cheaper and without all the gross stuff in it! 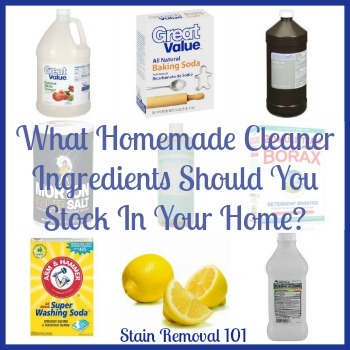 Personally I use vinegar, baking soda, lemon, essential oils to clean with. I rarely use anything else. I've got a whole series of articles on this very topic, because once you become comfortable making your own cleaning products many people want them to smell good, and be even more effective. Then is the time to try some experiments with essential oils. 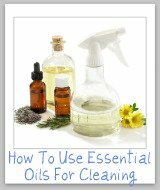 If you want to know what oils have what special cleaning proper ties, and which are most commonly used in cleaners, check out my essential oil use chart here. I think it's cheaper and so much easier to make your own cleaning products instead of buying them. I use vinegar, baking soda, hydrogen peroxide, or salt for most things. In fact, I don't think I've used chemical cleaners in YEARS. Actually, that's not true. I went back to them for a couple of months a year and a half ago and my family spent the next four months sick constantly. Cold after cold, virus after virus…back to my good cleaners and we are almost never sick again. Also, ALWAYS check the ingredients on the "eco-friendly" things at the store. I've noticed that a lot of them are actually pretty much the exact same thing as the non eco-friendly. Thanks so much Janice for your suggestions. So is your own list similar to the ones above or do you have different favorites? I'd love to hear. You can tell me your list here and I'll add it to the page.